Born: 6 December 1858, Z�rich, Switzerland. Died: 30 October 1941, Z�rich, Switzerland. Hans Schinz, a Swiss botanist, was the son of Hans R. Schinz and his wife Julie Voegeli. After studying natural history at the Z�rich Polytechnic he visited Asia Minor in 1882, returning through Russia and Germany. The next year he obtained his doctoral degree at Z�rich for a thesis on the opening mechanism of sporangia and pollen sacs. Around the end of 1883 he went to Berlin to study medicine but became interested in the flora of Africa. Meanwhile late in 1883 the merchant Adolf Luderitz acquired from Nama chiefs in present Namibia a lease of Angra Pequena (now Luderitz Bay) and its hinterland, and secured the protection of his possessions by the German Government. He organised an expedition to explore this region, led by the mine manager H. Pohle* and including Schinz and the geologist Adolf Schenck*. They arrived in Cape Town in October 1884 and from there sailed to Angra Pequena. Schinz and Schenck first undertook a preliminary journey via Aus and Keetmanshoop to Stampriet (November 1884-January 1885), but Schinz was not satisfied with the plants he collected as the region was too dry. He therefore decided to travel towards the north, leaving the other two members of the expedition to continue exploration in the south. He left on his main journey early in April 1885 and travelled via Aus, Rehoboth, Windhoek, Otjimbingwe, Karibib, Omaruru and Outjo to western Ovamboland, reaching the Finnish mission station at Olukonda in August. There he remained for six months, making short journeys, studying the local people and becoming friends with the missionary and plant collector Martti Rautanen*. In February 1886 he continued his travels. Leaving most of his collections at Grootfontein he reached Lake Ngami in present Botswana in May. Returning by a different route he travelled via Gobabis to Okahandja and from there across the Waterberg Plateau to Grootfontein to pick up his collections. He left the territory through Walfish Bay in November 1886 with about 50 cases of natural history specimens and ethnological material. Schinz sailed to Cape Town, from where he made several visits to surrounding areas. He finally left Cape Town in January 1887 to return to Europe. The next two years he spent in Berlin, working on his collections and writing a book on his travels, Deutsch-S�dwest-Afrika: Forschungsreisen durch die deutschen Schutzgebiete Gross-Nama- und Hereroland, nach dem Kunene, dem Ngami See und der Kalahari, 1884-1887 (German South West Africa: Research journey through the German colony, Great Namaland, Hereroland, to the Cunene, Lake Ngami and the Kalahari; Oldenburg, 1891, 568p). This important work contains a geographical description of the territory, much historical information, descriptions of the physical anthropology of the different peoples of the territory with many anatomical and ethnological sketches, and information about the climate and natural history. In particular it is one of the few substantial early sources of information about Ovamboland. Schinz also contributed a short paper, "Ein neuer Bauernstaat im S�dwesten Afrika's" (A new Boer state in south-western Africa), to the Mitteilungen der Ostschweizerische Geographisch-Commercielle Gesellschaft (1886), describing the short-lived Boer republic Upingtonia which had been established in 1885. Other publications relating to the geography of the territory were "Durch S�dwestafrika" (Through South West Africa, Verhandlungen der Gesellschaft f�r Erdkunde zu Berlin, 1887) and "Mehrj�hrige Reisen durch die s�dafrikanischen W�sten und Steppengebiete" (Several years' travels through the South African deserts and savannah regions, Mitteilungen der Geographische Gesellschaft f�r Thuringen zu Jena, 1888). Schinz returned to Z�rich in 1889 and in December that year married Dorothea A. Frei, with whom he eventually had five children. He was appointed director of the Z�rich Botanical Garden and Museum and in 1892 also as assistant professor of botany at the University of Z�rich, with promotion to professor of botany in 1895 - a post he held until his retirement in 1928. Thereafter he continued working until 1939. During these years he remained in contact with botanical collectors in Africa such as H.A. Junod* and H�l�ne Jacottet*, encouraging them to send him plants. He furthermore acquired the collection of Dr Anton Rehmann*, thus making Z�rich a leading centre for studying the flora of Africa. His own work there led to the publication of many papers on African plants. A long series of articles under the title "Beitr�ge zur Kenntnis der afrikanischen Flora" (Contributions to the knowledge of the African flora), in which many new species were described by different authors, was published under his name in the Bulletin (and Memoirs) de l'Herbier Boissier between 1893 and 1906, forming a basis for many later studies of African plants. Another series of articles by him in the same journal (1896-1900) was entitled Die Pflanzenwelt Deutsch-S�dwest-Afrika's mit Einschluss der westlichen Kalahari (The plant world of German South West Africa, including the western Kalahari). In 1891 he published a paper (in French) describing a collection of plants from the Transvaal. As co-author with T. Durant he published Conspectus florae Africae (Brussels, 1895-1898). Only two parts of this work appeared, dealing with Gymnosperms, Monocotyledons and a few early families of Dicotyledons. These parts were none the less valuable because they included groups that were not dealt with in the Flora Capensis. With H.A Junod he wrote three articles on the "Pflanzenwelt der Delagoa Bay" (Plant world of Delagoa Bay - now the Baia de Maputo, Bulletin (and Memoirs) de l'Herbier Boissier, 1898-1903); and with K. Dinter* described the Malvaceae and Bombacaceae of Namiabia (Bulletin de l'Herbier Boissier, 1903). His Plantae menyharthianae: ein Beitrag zur Kenntnis der Flora des Unteren Sambesi (Vienna, 1906) dealt with the plants collected by Father Ladislau Menyharth* along the lower Zambezi River. Though his main interest was botany, Schinz also collected zoological specimens during his travels in southern Africa. The arachnids (spiders, ticks, scorpions, etc) that he collected were described by E. Simon in the Annales de la Societ� entomologique de France in 1887. He was also one of the early collectors of reptiles in Namibia (FitzSimons, 1959). Schinz acted as promotor for 42 doctoral students in botany. He was president of the Schweizerischer Naturforschenden Gesellschaft, chairman of its publication committee from 1907 to 1937, and editor of its Vierteljahrschrift for 26 years. 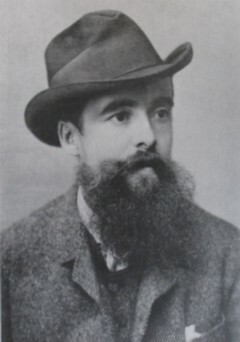 His 250 publications included a paper on the arrow poison of the Kalahari Bushmen (in Globus, 1895); a long paper on Swiss travellers in Africa and the contribution of the Swiss to research in Africa (1904); Flora der Schweiz..., written in collaboration with Robert Keller and published in several volumes between 1900 and 1923; and his memoirs, Mein Lebenslauf (1940). He was a Fellow of the Linnean Society (FLS) and was awarded an honorary doctorate by the University of Berne. Many plant species were named after him, including Stapelia schinzii, Euphorbia schinzii, Crotalaria schinzii, Grewia schinzii, Cyperus schinzii, Dicoma schinzii, Hibiscus schinzii, and the fossil plant Clarazia schinzii. His original plant specimens are housed at the University of Z�rich, others at Kew Gardens and some at the Natural History Museum, London, and the Royal Botanical Gardens, Edinburgh. In 1891 he presented 165 species of southern African plants to the Albany Museum, Grahamstown. Most of these had been collected by himself and 50 species by Dr Anton Rehmann. The collection was particularly valuable as it contained many type specimens of new species. He donated further plants to the museum in 1905. His ethnographical collections are housed in the V�lkerkundemuseum, Z�rich. Cape of Good Hope. Report of the committee of the Albany Museum, 1891, 1905. Dippenaar-Schoeman, A.S. & Jocqu�, R. African spiders, an identification manual. Pretoria: Plant Protection Research Institute, 1997. FitzSimons, V. The reptiles of South West Africa. Southern African Museums Association Bulletin, 1959, Vol. 7(3), pp. 55-57.